THE #1 WAY TO SAVE MONEY AT A SUPERMARKET. Over the past 12 months, food prices have risen dramatically. As I said last month, I am paying 30% more for chocolate than I was a year ago. Understandably, most people are looking for ways to save money on groceries, but there is one trick that beats all the others for saving money at a supermarket - LOOK DOWN. All supermarket chains stock their most profitable products at eye level and the least profitable products at floor level. It is just that simple. Let me give you an example. Campbell's best-selling condensed soups are Tomato and Chicken Noodle. These soups are 2 of the 10 best-selling food products in grocery stores throughout the United States; however, nearly every supermarket stocks them at floor level. You have to stoop over to get them. Why? Because there is very little profit in them. At the Safeway store on Shattuck Avenue in Berkeley, Campbell's Tomato and Chicken Noodle soups are priced at 99 cents a can. Because these soups are sold by other mass market retailers as loss leaders, its hard for a supermarket to get more than a minimal markup on them. On the other hand, Cambell's Low Sodium Chicken Noodle soup sells for $1.50 a can. The recipe is the same as regular Chicken Noodle soup, except that it has a little less salt in it - but costs 50% more! Its a high profit margin item. Predictably, Campbell's Low Sodium Chicken Noodle soup is stocked at eye level. Look at Safeway's candy rack. Hershey's regular milk chocolate bars are stocked at floor level. They were 45 cents a bar on the day I was there. There's no profit in that. At eye level was a display of Icebreakers mints, a high profit item, also made by Hershey, but priced at $2.29 a tin. Everything in every supermarket is stocked this way: high profit items are at eye level, and low profit items are at floor level: soft drinks, detergent, dog food, spaghetti sauce, toilet paper, cookies - everything. THE WORLD'S WORST MAJOR TOURIST ATTRACTIONS or "We drove 3 hours to see THIS?!" 1. 10 Downing Street. 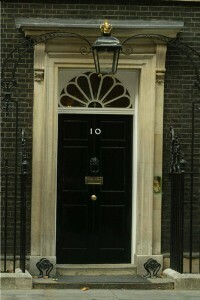 #10 Downing Street is the official residence of the British prime minister, but he doesn't actually live here. Downing Street is one block long. The street has been closed to the public since 1989 when high iron gates were installed at both ends of the block. You need a security clearance to enter Downing Street. #10 is just a plain black door in the middle of the block, and you can only catch a glimpse of the door from a distance and through the iron gates. Nevertheless, hundreds of eager tourists arrive daily at the Downing Street gates, but why? There's nothing to see here, and there's nothing to do here. 2. Any wax museum anywhere. I have never understood the appeal of these places. If you want to see a waxy, stiff, lifeless celebrity; then just watch a movie with Sylvester Stallone or Jessica Simpson. Whenever I see a busload of tourists going into the wax museum at Fisherman's Wharf in San Francisco, I think: "There are a lot of great museums in San Francisco, so why go here?" We have some great museums in Berkeley too: the Berkeley Art Museum and if you are traveling with kids, go to the Lawrence Hall of Science. 3. Plymouth Rock. This is just a shapeless rock in a hole. There is a railing around the rock, so you can't touch the rock or be photographed next to it, and the hole is usually full of litter. Plymouth Rock has no historic significance. According to legend, the Pilgrims aboard the Mayflower first set foot on solid land when they stepped onto Plymouth Rock, but that story is a myth. The Mayflower first landed near Provincetown, over 50 miles away and on the opposite side of Cape Cod Bay. The Pilgrim Monument in Provincetown marks the spot where the Mayflower actually landed. The first written reference to Plymouth Rock appeared over 100 years after the Plymouth colony was established. 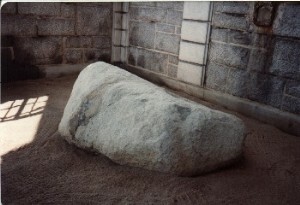 Furthermore, Plymouth Rock has been recut and moved several times. The date "1620" was carved into the rock around 1880. Plymouth Rock is visited by over 1 million people a year, but why? Its just a rock in a hole. 4. Four Corners National Monument. 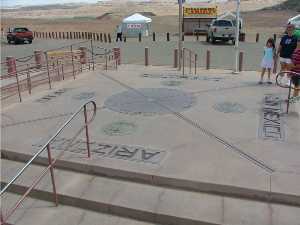 This is the spot where the states of Colorado, Utah, New Mexico, and Arizona all meet. It is marked by a plaque on the ground "where X marks the spot." There is nothing else there aside from a few souvenir stands and portable toilets. There are no restaurants, and there is no water available here. The surrounding landscape is featureless. Four Corners Monument should not be confused with Monument Valley, 100 miles away, which has spectacular scenery. Four Corners is a 5 hour drive from Albuquerque, the nearest big city. I know a surprisingly large number of people who have gone to Four Corners. I know one couple who spent their entire honeymoon driving from San Francisco to Four Corners and then back home. They drove for 3 days to get there, spent a minute looking at the "X" on the ground, bought some souvenir t-shirts and shot glasses, and then spent 3 more days driving back to California. Trips like this are not unusual. Lots of people drive to Four Corners from faraway places. The U.S. Park Service charges a fee to look at the "X" on the ground. Four Corners Monument is visited by over 400,000 people a year, but why? Its just an "X" on the ground. 5. Chandelier Drive-Through Tree. 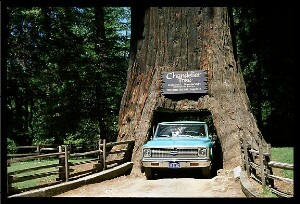 This giant redwood tree in Leggett, California had a hole cut in its base so you can drive a car through it. The hole will eventually kill the tree. Several other drive-through redwoods and sequoias have died this way. When a drive-through tree dies, they simply cut a hole through another tree nearby and move the road. Leggett is a 4 hour drive north of San Francisco. There is a $5 fee to drive through the tree. This luckless tree is the area's #1 tourist attraction, but why? There are several other drive-through trees in Northern California and Oregon. My father told me that he thought that the drive-through tree was the stupidest tourist attraction in America. I told my father that I thought that Four Corners was the stupidest tourist attraction; however, we didn't argue over this. We agreed that visiting either place was an absurd waste of time. So what do you think of my list? Let me know if you have a candidate for "World's Worst Major Tourist Attraction" or "We Drove 3 Hours to See THIS?!" Frankly. I think my list is hard to beat! LOOKING FOR A VACATION BARGAIN? This isn't a good year for Americans traveling to Europe. The weak dollar has made everything in Europe very expensive. A cup of coffee at Starbucks in London costs $7.00. A Paris museum admission ticket costs $22.00. Even Eastern Europe is getting pricey. Dinner for 2 at an upscale restaurant in Prague costs $150, more than double what it cost 5 years ago. If you want a bargain vacation, consider Las Vegas. The weak U.S. economy and high gas prices have taken a tremendous toll on Sin City. A fairly high percentage of all Las Vegas weekend and holiday visitors have always come from Los Angeles, but with gasoline now selling for over $4.50 a gallon in L.A., far fewer people are willing to drive to Las Vegas, 300 miles away. Las Vegas is in a depression. The Las Vegas real estate market is in a free-fall. Its the worst real estate market in the country. Some well known casino hotels are facing bankruptcy or are already in bankruptcy. Just last week, Harrah's bonds were reduced to junk status. Las Vegas hotels have managed to stay fairly full, but only by dramatically cutting their room rates. In July, Las Vegas Advisor surveyed 84 Las Vegas casino hotels and found that half had rooms available for $50 a night or less. In July 2007; the lowest priced room at Harrah's was $95 a night. Now its $49. Last July, Hard Rock's lowest priced room was $99. Now its $69. MGM's lowest priced room a year ago was $99. MGM is now offering rooms for $79 with 2 free cocktails and a $25 hotel credit. The well-located Tropicana is advertising rooms for - ready for this - $29 a night! (The Tropicana declared bankruptcy in May.) Even some of the major hotel buffets are advertising lower prices. I've been going to Las Vegas for over 30 years, and I've never seen buffet prices go down. I think what is happening in Las Vegas is one of the big underreported news stories of this year. There has long been a debate over who was the smartest U.S. president. (I'm pretty sure its not George W. Bush.) My guess is that James Garfield the the smartest president. He was recognized as a genius at an early age. At the age of 3, Garfield was attending school and reading adult books. At the age of 26, he was a college president. At the age of 30, Garfield was promoted to the rank of general in the Union army during the Civil War. Garfield became nationally famous after his army permanently drove Confederate forces out of eastern Tennessee, even though Garfield had no artillery and only half as many men as the Confederates. Garfield won every battle he fought. Even his political opponents were amazed by his mental capacity. For example, to impress party guests, Garfield would often write with both hands at the same time and in different languages. Garfield would ask a guest to place a book in front of him opened to a randomly selected page. Then he would write a translation in Latin with his right hand while writing a translation in ancient Greek with his left hand at the same time. He could do this in five other languages as well. I know this sounds unbelievable, but a lot of people witnessed Garfield doing it. I wonder what score Garfield would have gotten on an SAT test. WORST APPLICATION EVER. Could this one be the worst? Who Am I? Many years ago, I got an application for a cottage on Shafter Avenue from an aging hippie. There are a lot of aging hippies in Berkeley, "flower children" from the 1960s who never grew up, usually due to drug abuse. This guy was about 40 years old. He had a glassy look in his eyes and walked like a zombie. My guess was that he had fried his brain on drugs a long time ago. After he walked though my cottage, he sat down at the kitchen table to fill out an application form. He stared at the form for a long time. He was stuck trying to figure out the answer to the first question: "Name of Applicant." After a while, he turned to me and said: "Do you know who I am?" I said: "No, no I don't." He said: "Oh" and began staring at the form again. After 15 or 20 minutes, he handed me his application form. After "Name of Applicant", he wrote: "ME." 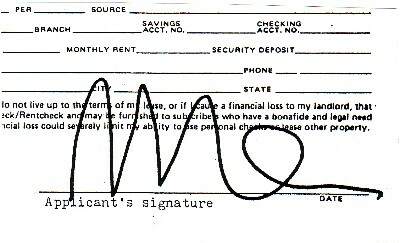 After "Applicant's signature" at the bottom of the form, he wrote "ME" again. The rest of the form was left blank. The poor guy looked embarrassed. He knew that he done a poor job filling out his application form, but it was the best he could do. I felt sorry for him, but I rented my cottage to someone else. Leather Photo Storage Boxes. Each box measures 8" wide x 12" long x 6" high. They are designed to hold 4"x6" photos but can be used to store lots of other things as well. I have 10 of them. All brand new and very well made.